The Executives’ Association of New York City is comprised of leading businesses represented by their owners or principal senior executives. Every member company, admitted only after careful qualification, is the exclusive representative of its specific business category. Members come from all business sectors, including service industries, professions, trades, manufacturing, and associations. Virtually all member companies gain new sales as a result of joining. Most members will tell you that the Executives’ Association is more cost-effective than any marketing expense their company makes. WE MEET. WE GREET. WE SHARE. 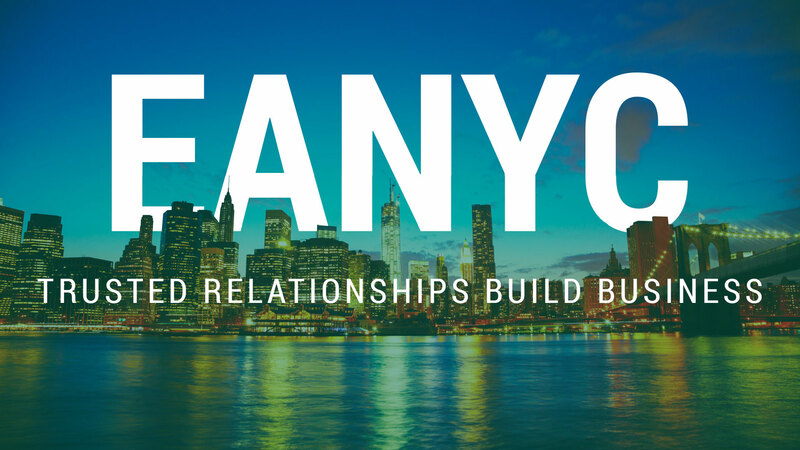 EANYC meets weekly at the Harvard Club for the primary purpose of exchanging leads and sharing other information directly related to generating business for members. Constant attention is focused on keeping meetings worthwhile and productive. Let’s face it: people do business with those they know and trust – and that starts with members themselves. To foster close relationships within the association, all Exclusive members are required to attend at least 50% of the meetings. EANYC engages speakers on an ongoing basis to keep members apprised of trends, techniques and current events. Past speakers have included politicians, executive coaches, FBI agents, IRS officials, sales gurus and more. EANYC is a top notch organization. The members go out of their way to make introductions and refer business to other members. I know EANYC will help me grow my business for many years to come. Jocelyn Nager - Mng. Partner, Frank, Frank, Goldstein & Nager, P.C. So far I have enjoyed meeting many successful, like-minded professionals that seem to be genuinely interested in helping each other succeed. Jeffrey Turkel - Shareholder/ Equity Holder, Rosenberg & Estis, P.C. Gordan Rafajac - NY Landmark Construction Management Corp.
EANYC is our most important source of new business and ideas. As a 20 year member I have developed relationships with a variety of business leaders that enhance my role as president of Neuman's. Members in Execs have consistently gone out of their way to help me grow my business.